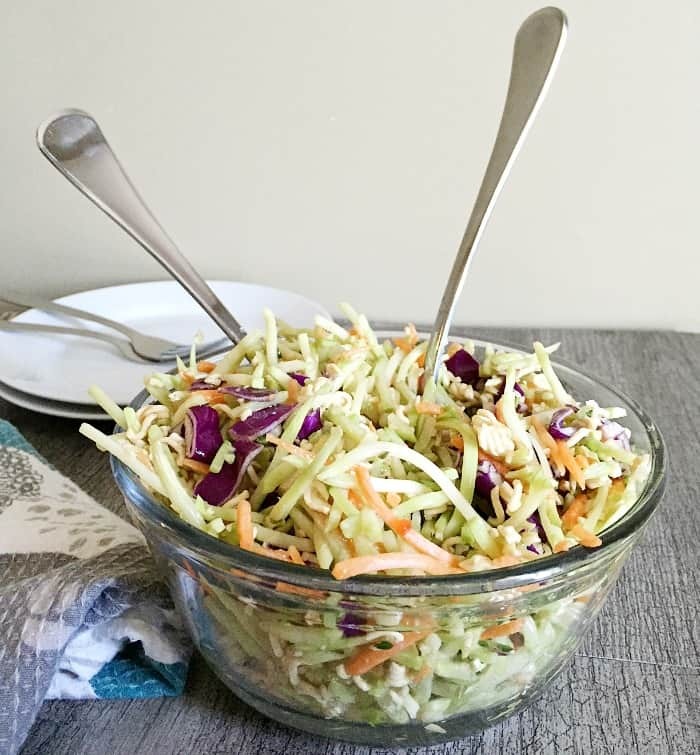 You will love this Oriental Coleslaw with ramen noodles during those hot summer months. Cool, crisp salads make a great side for those warm summer nights. Growing up I was not a fan of salads. In fact, I don’t remember enjoying salads until I was well into my teens. My son, however, has not followed in my steps and loves all types of salads. Because of this, I have been on the lookout for different types of salads to include in our meals. One night a friend of ours served us an Asian coleslaw with ramen noodles with our supper and it was a hit. While she gave me the recipe, I decided to try and make a salad on my own. 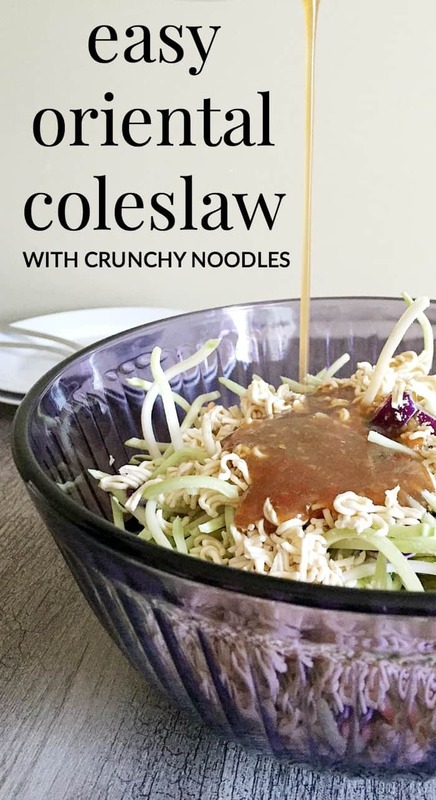 The result was this oriental crunchy noodle coleslaw which is a new family favorite! Break ramen noodles and remove the flavor packet. Mix flavor packet with the Italian dressing.